Prosecutors announced they will ask for him to be sent to prison for life without a chance for parole when he is sentenced on June 25. Given the Sinaloa cartel leader's resources, money and prior prison escapes, Guzmán, 61, is the perfect candidate for a Supermax penitentiary, in particular one called ADX Florence, according to Bob Hood, a former Supermax penitentiary warden. 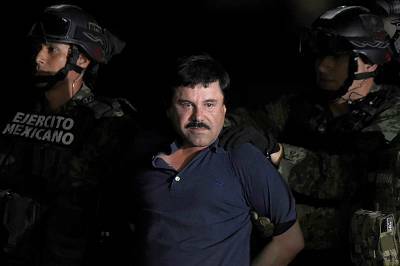 "There's no question in my mind that Guzmán will be going to the Supermax prison in Colorado," Hood told NBC News. 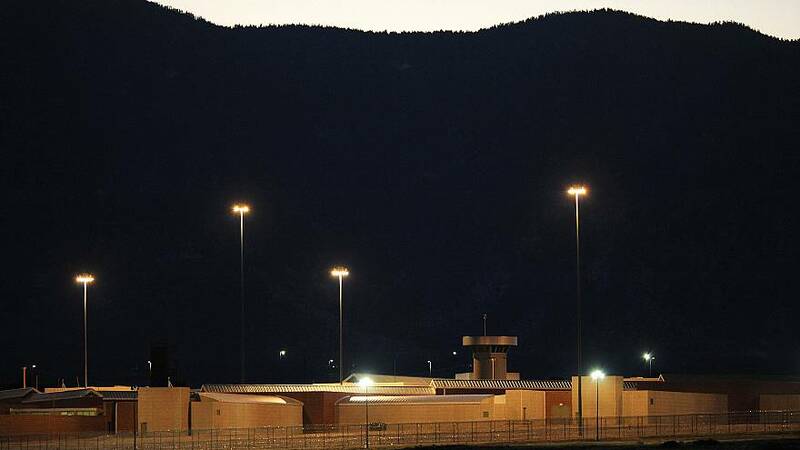 Known as the "Alcatraz of the Rockies," Colorado's federal Supermax prison was created to be the most secure prison facility in the country. Opened in 1994, Florence, in mile-high desert south of Colorado Springs, is home to more about 400 prisoners, including gang members, convicted terrorists and other other criminals deemed too dangerous for less restrictive custody. Even in this facility, Hood believes Guzmán would likely be put under special administrative measures to revoke his visitation rights and limit his interaction with other prisoners. "He's such a high-profile person that, in my opinion, he'll never be allowed on the yard with other prisoners for the rest of his life," Hood said. The typical cell at Florence is a 7-feet by 12-feet concrete cell with a 4-inch window, leaving its occupants unable to see the sky. Prisoners there generally get only an hour outside a day in a small caged-in area, according to Hood. Florence's inmates may be able to read newspapers or watch television, but someone with a network the size of Guzmán's may only be allowed old publications or entertainment that isn't newsworthy. Such precautions are "designed to put a shield between you and the outside world," Hood said. Guzmán may even be a candidate for the facility's most isolated area, Range 13, according to Hood. "Range 13 is a place that has four identical cells and to my knowledge it's only been used for 2 inmates: Ramsey Yousef and Thomas Silverstein," Hood said. Silverstein is an armed robber and murderer. Neither of the men are in Range 13 anymore, the former warden said. Given Guzmán's famed prison escapes, Hood believes that he would be placed in Range 13 and rotated between its four cells to prevent any future jailbreak attempts. The drug lord broke out of a Mexican prison in a laundry cart in 2001 while serving a 20-year sentence related to drug trafficking charges. He was recaptured, then made another successful escape in 2015 through a 1,600-yard tunnel that had been dug under his shower cell in a maximum-security facility in Mexico. Hood said that during his time as a Supermax warden he tried to make sure prisoners were kept in the best conditions possible, but that "I'm not foolish, the place is not designed with humanity in mind. It's tough." Jodi Avergun, a former U.S Attorney for the Eastern District of New York who helmed the department's narcotic division, told NBC News Tuesday she is confident that Guzmán will receive a life sentence and will get sent to Florence. "I don't think theres any way a judge can ignore the prior evidence of his escapes and violent history," Avergun said. "The judge won't vary from that, even though the guidelines aren't mandatory." Prosecutors are likely weighing whether other prisoners could work to gain Guzmán's favor and if that would endanger incarcerated prisoners who testified against him, according to Avergun. She believes that the concerns are less about a possible escape and more about how other inmates might help the "legendary" drug lord. "Another reason El Chapo has to be separated and segregated is that there are a lot of cooperating witnesses in this case that need to protected," Avergun said. The U.S. Bureau of Prisons told NBC News that, as a matter of policy, "for safety and security reasons, the BOP does not disclose an inmate's designated facility for service of sentence until he or she has arrived and been processed into custody."